BUILD has been working to develop a new public plaza associated with our 1532 Harrison Project. Eagle Plaza is to be a leather-themed community space in the city’s LGBTQ Cultural Heritage District. The Major Encroachment Permit was introduced to the San Francisco Board of Supervisors on January 15th, and we were very pleased to have support from Mayor Breed and Supervisors Mandelman and Haney. Matthew Bajko of The Bay Area Reporter covered this event in his article “SF mayor seeks permit for leather plaza”. BUILD’s Lou Vasquez is quoted in the article sharing our enthusiasm for this project: "The root of Build's work is to help create great urban places, and we love that this project will add both homes and public space to San Francisco,"
BUILD's Director of Development, Michael Yarne, quoted in the San Francisco Chronicle regarding 1532 Harrison's effect on the Eagle, an established Harrison Street small business. We are pleased to contribute to the production of affordable housing in San Francisco, by including Below Market Rate units as part of this project. 1532 Harrison includes 16% Below Market Rate units on site as part of the project or 22 units. The units will be a mixture of 2-Bedroom, 1-Bedroom and Studios, in accordance with the unit mix of the project. These designated units will remain permanently affordable for the life of the project. The first ever leather themed plaza. Adjacent to BUILD's 137 unit project in West SOMA that features two beautiful garden laneways combining to bring a much needed dose of public green space to the exciting West SOMA neighborhood. Western SoMA apartment building. 136 rental units entitled. Groundbreaking expected in late 2016. 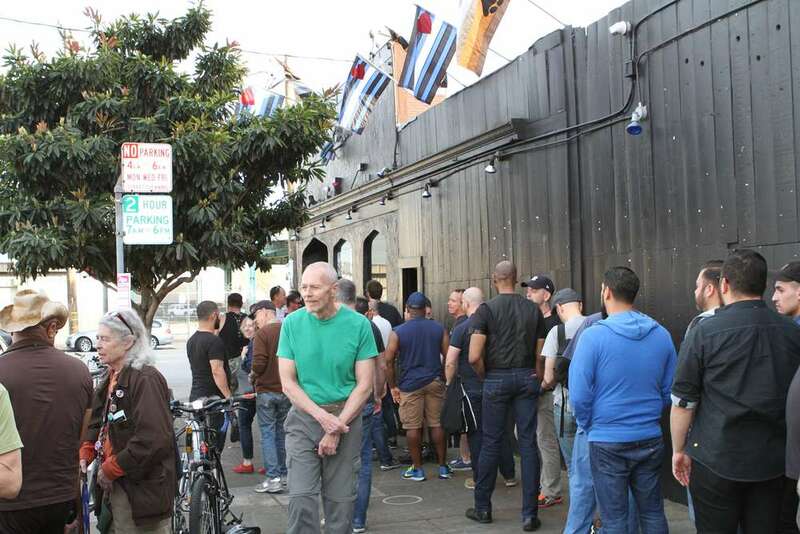 "A San Francisco property developer is proposing a leather-themed plaza South of Market to honor the neighborhood’s rich LGBT history". BUILD & nonprofit sister company BUILD PUBLIC, partnered with the SF Eagle, a renowned leather bar in San Francisco’s Western SoMa neighborhood, on a fundraising event for the Friends of Eagle Plaza, the eventual stewards of Eagle Plaza. The event began at 3 p.m. and lasted until 6 p.m., with attendees staying as late as 2 a.m. to continue the revelry. Build Public representatives were stationed outside the SF Eagle in a pop-up parklet featuring synthetic turf, chalk- and magnet-wall planter boxes, and sign-up sheets. Inside, more Build Public team members were busy serving hot food to attendees who bought “Beer Bust” tickets at the door, the proceeds from which went to the Friends of Eagle Plaza. 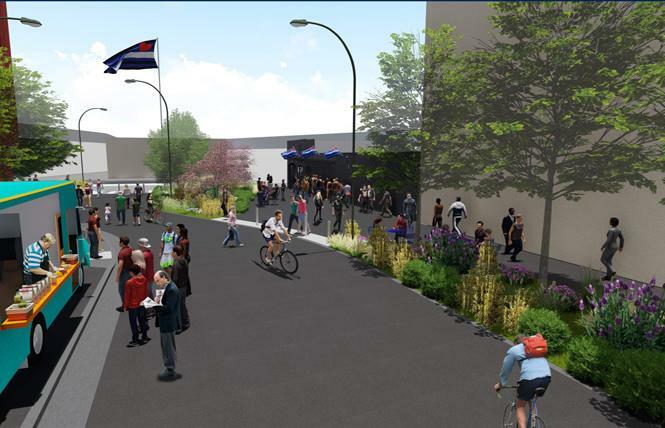 We received overwhelmingly supportive feedback for the idea of Eagle Plaza, a new public plaza featuring a shared public way on 12th Street between Harrison and Bernice streets.